Those words come at the same time as a new research study—first referenced here by former D.C. and Chicago transportation chief Gabe Klein—offers the most persuasive evidence yet that bike-share serves as a genuine form of public transportation. Past work has found that bike-share members decrease their car use considerably: According to one survey, 52 percent did so in Minneapolis, and 41 percent in Washington, D.C. The new, more fine-grained analysis of bike-share use in these cities reveals that its role in the transit system varies based on the character of the host city. In larger cities with dense cores like D.C., bike-share may replace shorter transit trips; in smaller, more dispersed cities like Minneapolis, it may expand the entire public transport network. The denser the urban environment (particularly for rail), the more bikesharing provides new connections that substitute for existing ones. 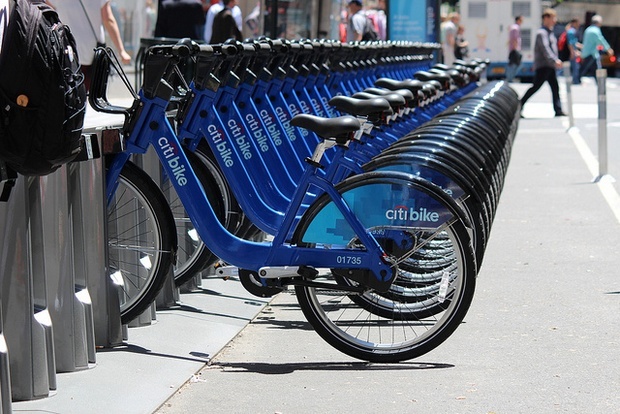 The less dense the environment, the more bikesharing establishes new connections to the existing public transit system. That’s the take-home message. For the study itself, Martin and Shaheen took a close geographic look at the changes in commute modes made by bike-share members in the two test cities. In Washington, a survey of more than 4,800 members found that 47 percent decreased their rail use (namely, on the D.C. Metro), primarily in the city center. This suggests that in a city like D.C., bike-share acts as a substitute for short rail trips—no doubt relieving crowded subway cars in the process.